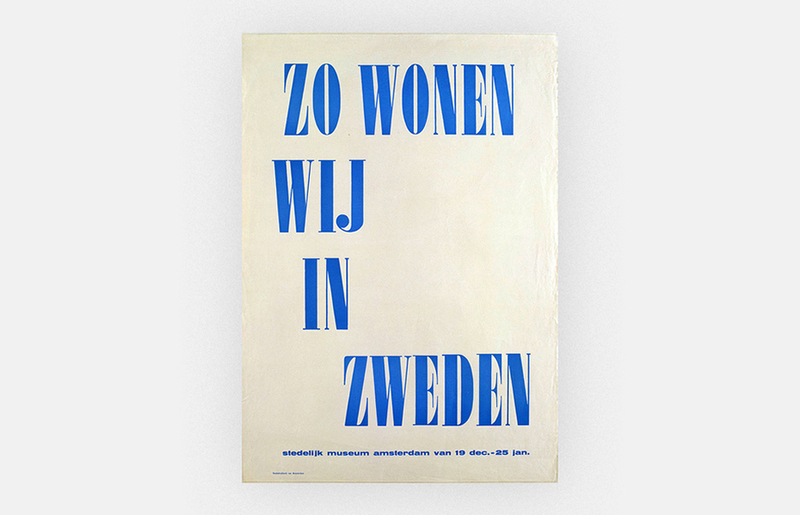 erard Unger (22 January 1942 – 23 November 2018) was a Dutch graphic and type designer. He studied at the Gerrit Rietveld Academie in Amsterdam from 1963–67, and subsequently worked at Total Design, Prad and Joh. Enschedé. In 1975, he established himself as an independent developer. A long-time guest lecturer at the University of Reading, he mentored many modern typeface designers. He lived and worked in Bussum, Netherlands. 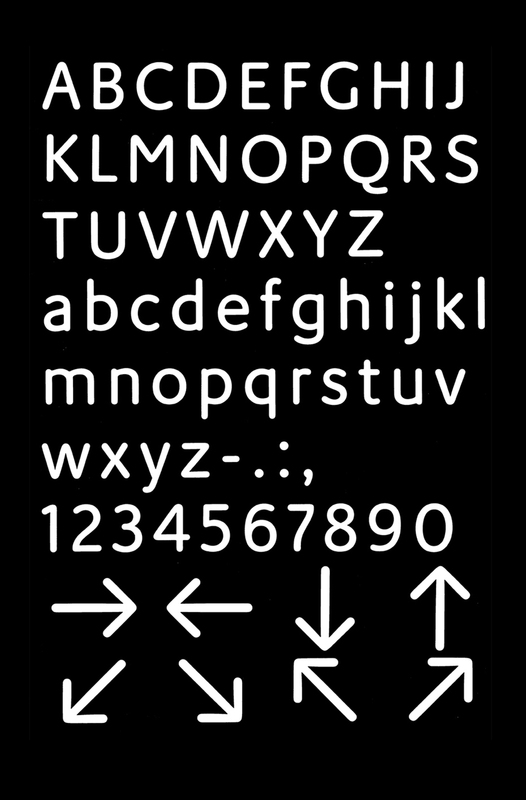 Unger developed many typefaces over the years, of which several specially developed for newspapers (usually typefaces with a large x-height and large inner counters), such as Swift, Gulliver, Coranto and Vesta. 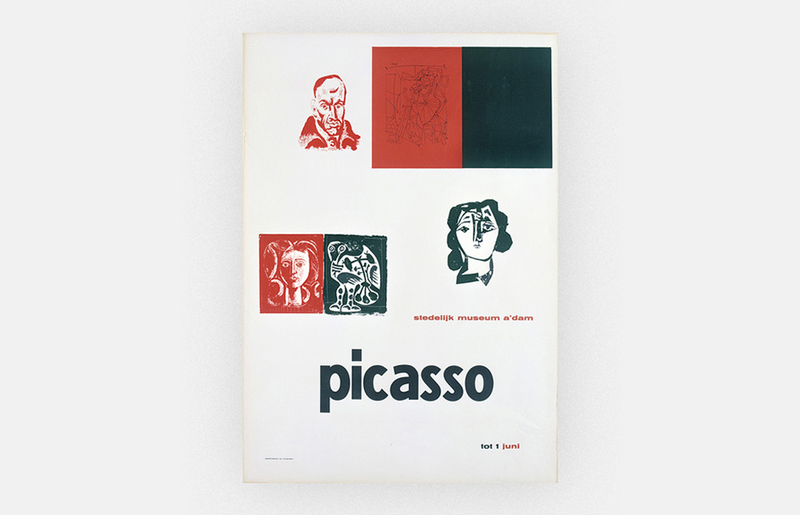 He also developed designs for magazines, coins, books, logos and stamps. Sketches of it­al­ic char­ac­ters for Swift. 1985. 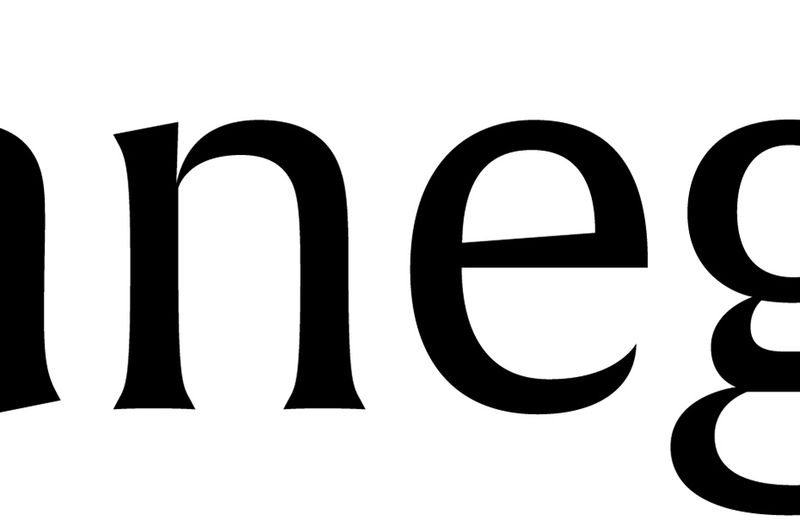 A large number of Unger's typefaces are available from Linotype and the Dutch Type Library; his more recent faces are also available through the foundry Type Together. He released new work on his own website from 1995. 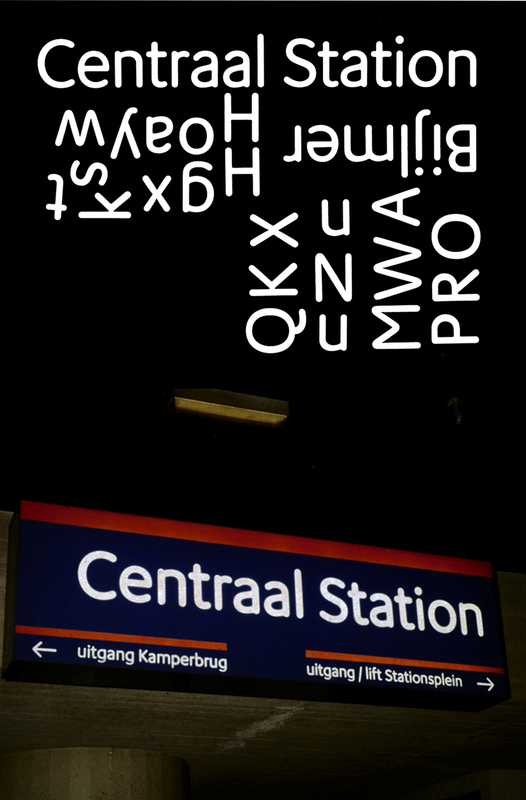 Unger designed typefaces for the signage systems of both the Dutch highways (ANWB-fonts) and the Amsterdam metro. A draft of M.O.L. and its ap­plic­a­tion in the real world. By the way, the typeface’s name refers to the Dutch word “mol” (mean­ing “mole”)—at first, the de­sign­ers had the idea of mak­ing the an­im­al the mas­cot of the Am­s­ter­dam Metro. There would be a gi­ant mole­hill out­side each sta­tion in the city, with a mole point­ing the way to the en­trance with his nose. 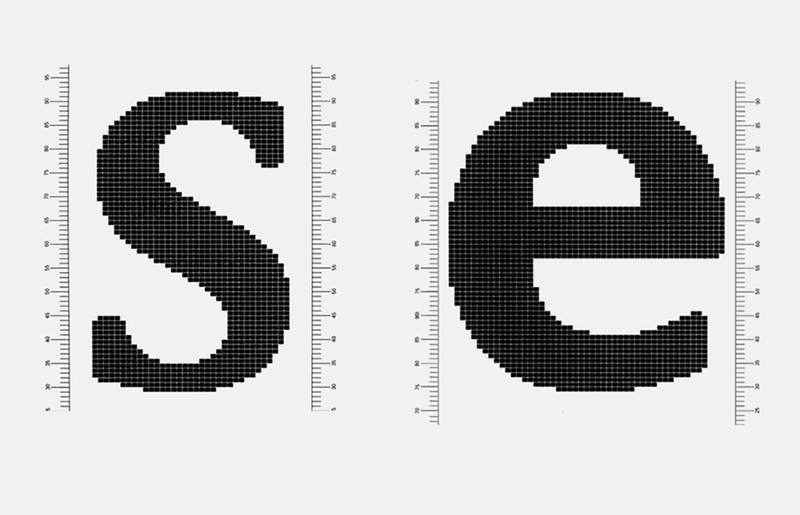 This pro­pos­al was re­jec­ted by city au­thor­it­ies, but was al­lowed to live on in the name of the typeface. His newspaper face Gulliver (1993) is familiar to millions of readers, as it is the typeface used in both USA Today and several European newspapers, including the Stuttgarter Zeitung. His typeface Coranto is the typeface for The Scotsman and the Brazilian newspaper Valor. 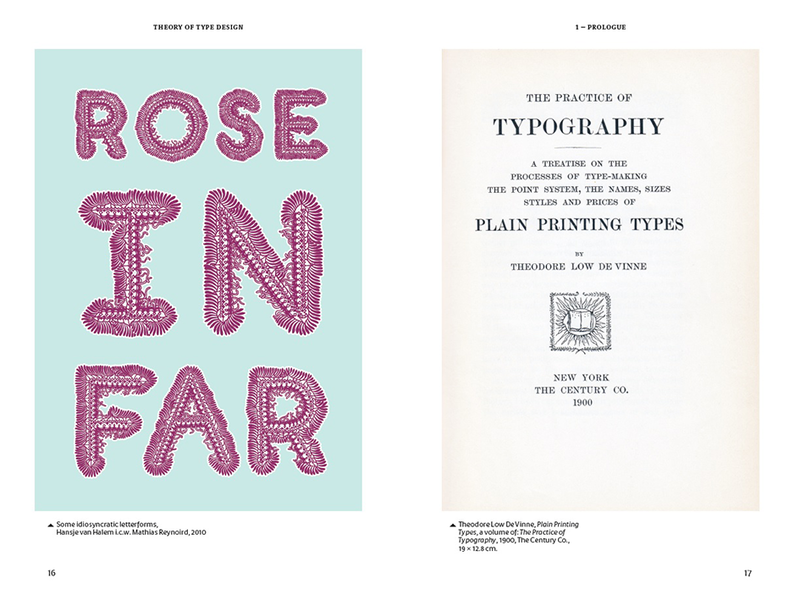 In addition to his work in type design, Unger was active in the field of education. Unger taught at the Gerrit Rietveld Academie for over 30 years, and from 1994, he was a visiting professor at the University of Reading at the Department of Typography and Graphic Communication. From 2006 to 2012, he was a lecturer in typography at the Department of Fine Arts of the University of Leiden. 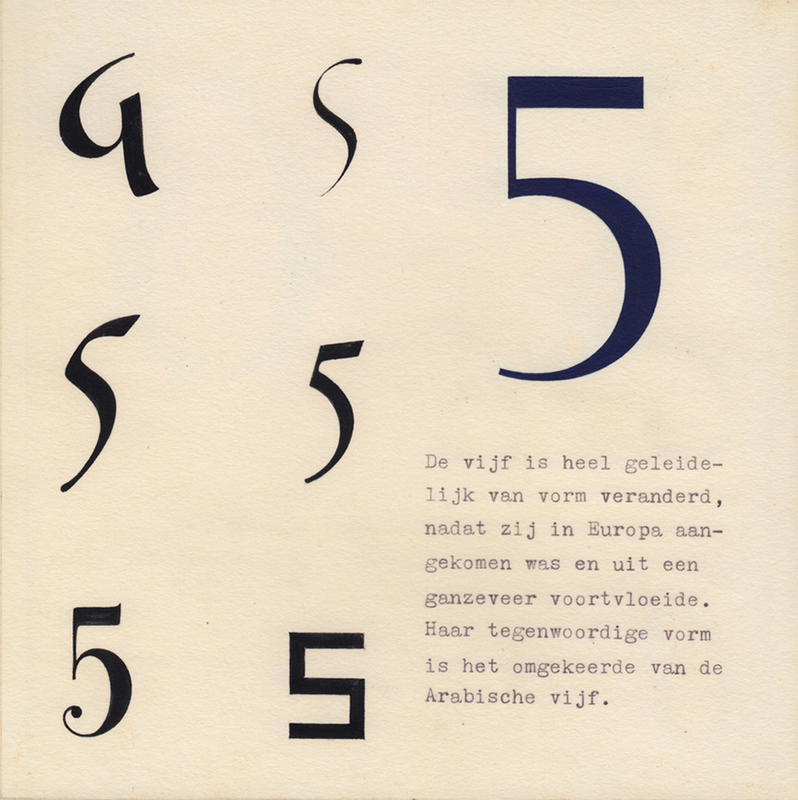 A page from Ger­ard Un­ger’s re­search pro­ject, which he con­duc­ted dur­ing his stud­ies at the Ri­etveld Academy in 1966. It was de­voted to the his­tory of nu­mer­als. His most important publication was Terwijl je leest (1997) ("While You're Reading") which was completely revised and reprinted in 2006. In 2004, he delivered the Tiele-lecture (of the Dr. P.A. Tiele Stichting) under the title Veranderend lezen, lezend veranderen (rough translation: Transformed Reading). In September 2013, he received a PhD degree on a new typeface called Alverata, which he developed while researching medieval lettering. 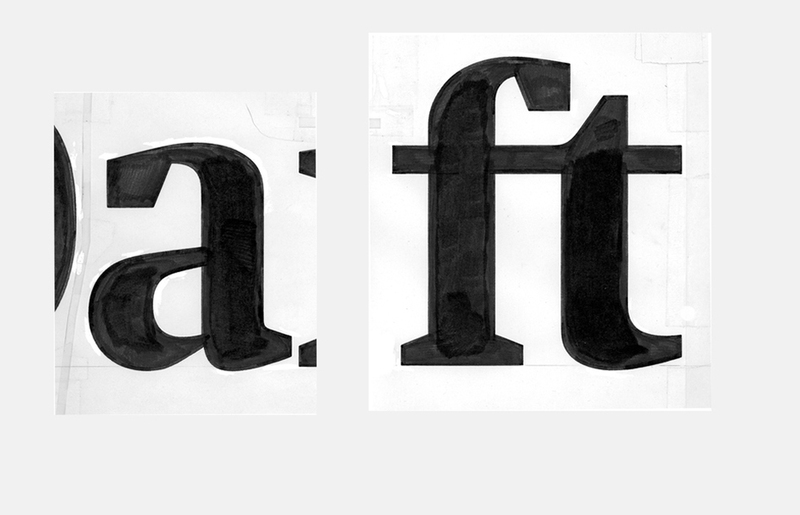 From the work­ing files of the serif Demos (1975, Dr.-Ing. Rudolf Hell/Lino­type) and its sans-serif coun­ter­part Prax­is(1976, Dr.-Ing. Rudolf Hell/Lino­type)—Un­ger’s first ex­per­i­ence in de­vel­op­ing a su­per­fam­ily. Source: V. Efimov, A. Shmely­ova. “Great Typefaces. Book Two. Serifs.” Mo­scow, Para Type, 2007. Unger received various awards, including the H.N. 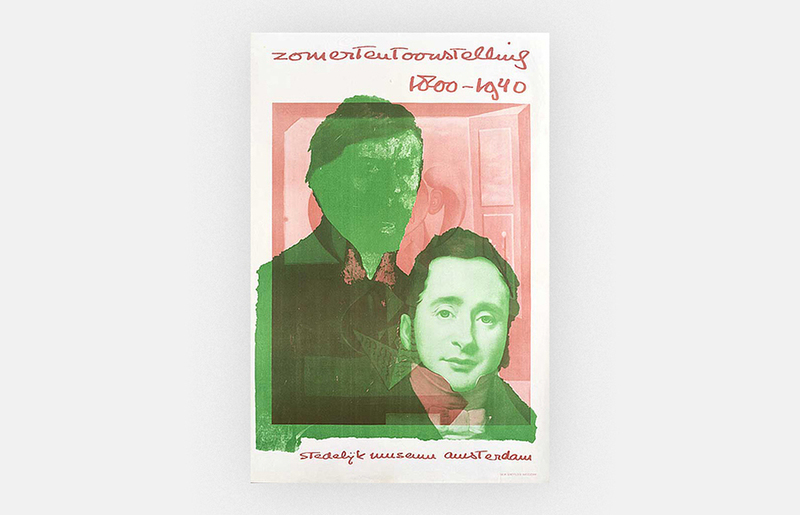 Werkman prize (1984) the Maurits Enschedé prize (1991) and in 2009 the SOTA Typography Award. In 2008 he received an honorary doctorate from the University of Hasselt, Belgium and in 2009 from Estonian Academy of Arts. In 2012 he was awarded the "Piet Zwart Lifetime Achievement Award" by the Association of Dutch Designers BNO and in 2017 he was awarded the TDC Medal by the Type Directors Club. 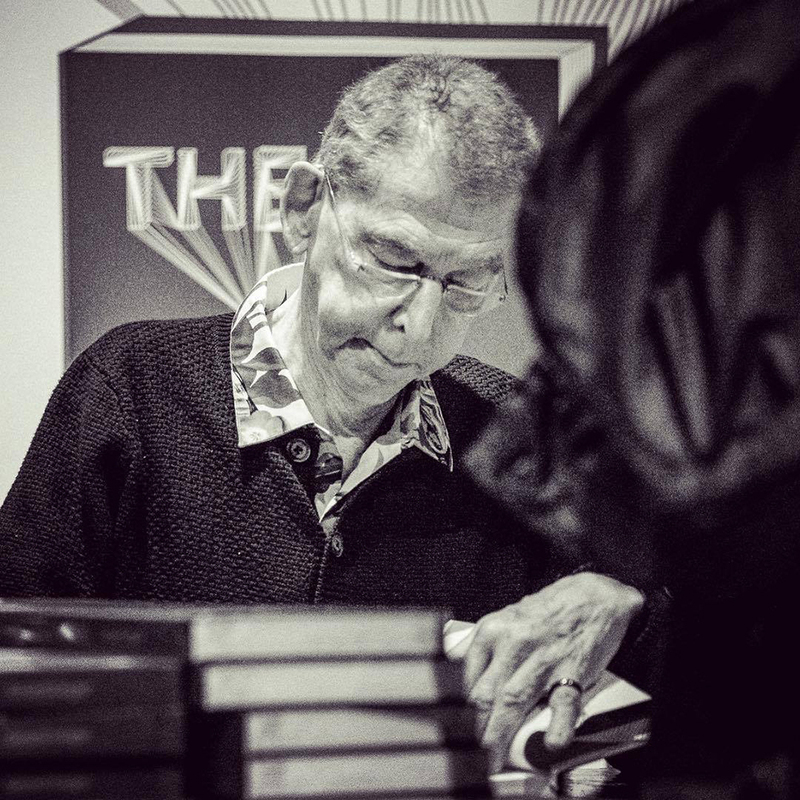 This fall Gerard Unger shared his typographic knowledge through his new publication, aptly named "Theory of Type Design". 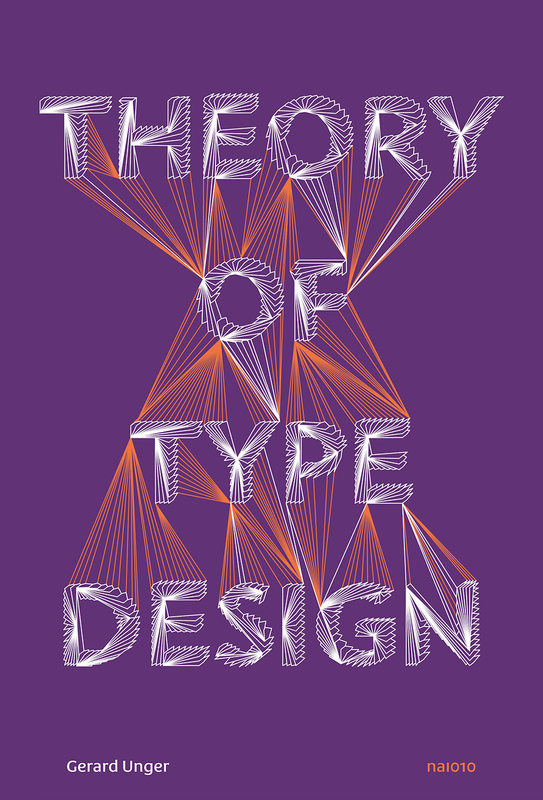 In the book Unger theorized how the design of type is a fundamental linguistic tool. 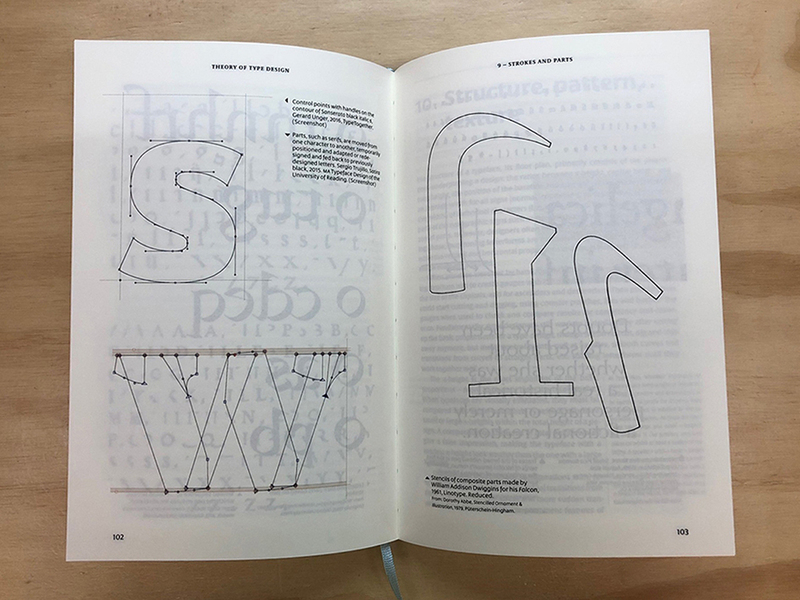 "Of all designed objects letters are probably the most pervasive," Unger explains. "Very familiar yet amazingly diverse in their appearance … there seems to be no limit to human ingenuity when it comes to varying letterforms." Unger approaches the diversity and creativity of the field with a wide-ranging, reflective, critical theory of how we design and make sense of text. Unger died at his home in Bussum on 23 November 2018, approximately five months after his wife's death. "Papers have all kinds of information on the same page; very distressing and very joyful; gossip and facts. I wanted to bring that variety, that liveliness into the typeface design". "The best part of my education was that it forced one to be flexible". "I’m from the generation that saw graphic design as problem-solving and I’m still a problem-solver. That’s my first question: ‘What’s your problem?’". "Neville Brody and David Carson achieved something that in graphic design and typography was nonexistent before them and that was superstar status. It’s not that I envy them, but for a lot of people there was nothing else. All the students wanted Carson on their curriculum and they wanted their work to look like his There was also Neville Brody’s influence: you saw second-rate Brody posters with all the Brody ingredients but without Neville’s touch. It never did him much harm. What I can’t understand was that there were so many people willing to trade in their own creativity for someone else’s. That they would use ready-made ingredients, an instant meal, instead of something that would take them the same amount of time to prepare themselves.We have to get to grips with this superstar thing. I started professional life as an assistant to Wim Crouwel, and Wim is an absolutely charismatic leader. He’s charming and outspoken, and when he explained design you thought: ‘This is it, this is the solution, here’s the way to do it.’ I had a very tough time freeing myself from that influence, convincing myself that I had different ideas. I had to find my own footing". "I’ve al­ways been a bit of an op­tim­ist. No idea where that comes from. I was not a bril­liant sec­ond­ary school pu­pil, I ac­tu­ally don’t have a fi­nal dip­loma from sec­ond­ary school". "I think there is no dif­fer­ence between pa­per and screen, the read­ing ex­per­i­ence is the same. Ac­tu­ally, at the mo­ment I am try­ing to read a very big and heavy book in bed, be­fore I go to sleep. It is much more com­fort­able to read from an iPad, but this book is not avail­able on the iPad. So there have been all these tech­no­lo­gic­al changes, but the far big­ger change, as far as I am con­cerned, is that throughout the 70s and in the early 80s I was work­ing as a type de­sign­er—I could make a very good liv­ing as a type de­sign­er and I was one of the very few. There was Mat­thew Carter, Ad­ri­an Fru­ti­ger, Her­mann Za­pf; they were older than I was. I did not have many con­tem­por­ar­ies. And sud­denly in the mid 80s, early 90s, there was a wave of young de­sign­ers from the Hag­ue, Arnhem, and then Bri­tain, Ger­many… and the pic­ture changed com­pletely. 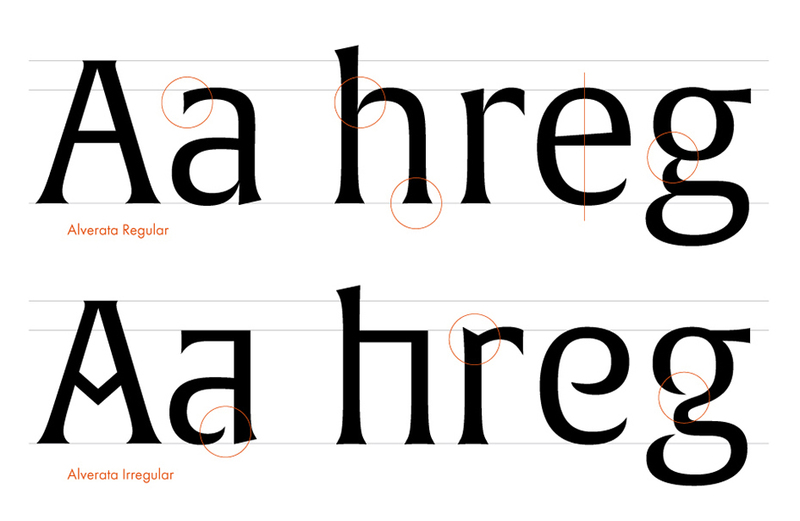 Since type design has gone di­git­al, the num­ber of type de­sign­ers has mul­ti­plied un­be­liev­ably. But I don’t think about all my young col­leagues in a neg­at­ive way at all. It is great to have a large num­ber of col­leagues, to meet and dis­cuss how dif­fer­ent the products we make are or how sim­il­ar they are when it comes to a neut­ral sans serif". 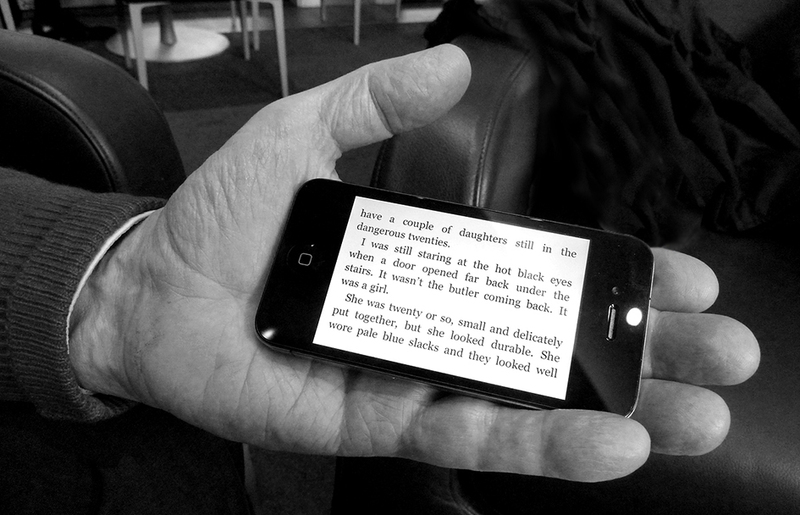 Un­ger’s fa­vour­ite de­tect­ive nov­el on the iPhone (The Big Sleep by Ray­mond Chand­ler). "I was edu­cated by the whole gen­er­a­tion of de­sign­ers who com­bined a ca­reer in art with a ca­reer in design. 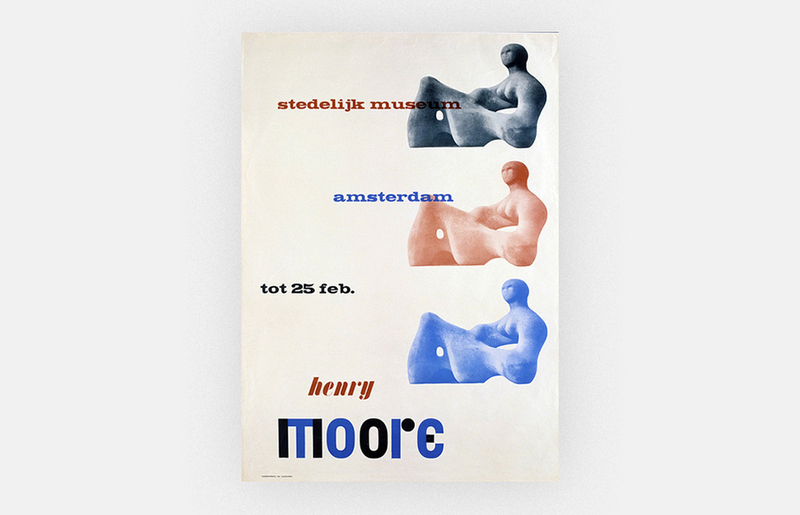 For ex­ample, my teach­er for let­ter­ing, type design and ty­po­graphy, Theo Kur­per­shoek, was a paint­er, a mod­ern clas­si­cist in his paint­ings and a tra­di­tion­al­ist in his ty­po­graphy, but he com­bined two ca­reers. I think you see it much less nowadays". "I’ve al­ways been very curi­ous, and I think curi­os­ity is a very fun­da­ment­al Dutch qual­ity. When you make a design, the first ques­tion you ask when you’ve made it is: What else can I get out of this? Is there any­thing more? Is there any­thing bey­ond what I have done so far? So that was an­oth­er thing that I’ve learned in the 60s as a stu­dent: nev­er be sat­is­fied with what you can do, but al­ways try to get a bit more out of your­self and to ex­per­i­ment. I think this is what I have in com­mon with many of my Dutch col­leagues". "It’s fun­da­ment­ally to see type design as in­dus­tri­al design com­bined with er­go­nom­ics, in or­der to ad­apt the hu­man product to the ca­pa­cit­ies of the hu­man body, in this case to the ca­pa­city of the eyes and the brain and the hand. This is what sup­ports my work". "I am very fond of curves. I’ve al­ways liked curves. It’s nev­er a simple curve, they are very com­plic­ated curves very of­ten. It starts rather flat, it makes its turn, it stretches it­self, makes its turn again and sud­denly goes up… There is an out­side curve and an in­side curve do­ing something dif­fer­ent, you cre­ate a sil­hou­ette this way, this is how shapes come about. That’s the trick. That’s all there is"
Read the rest of Unger's wisdom here and here. Spe­cif­ic de­tails of Al­verata‘s char­ac­ters in Lat­in. M.O.L. 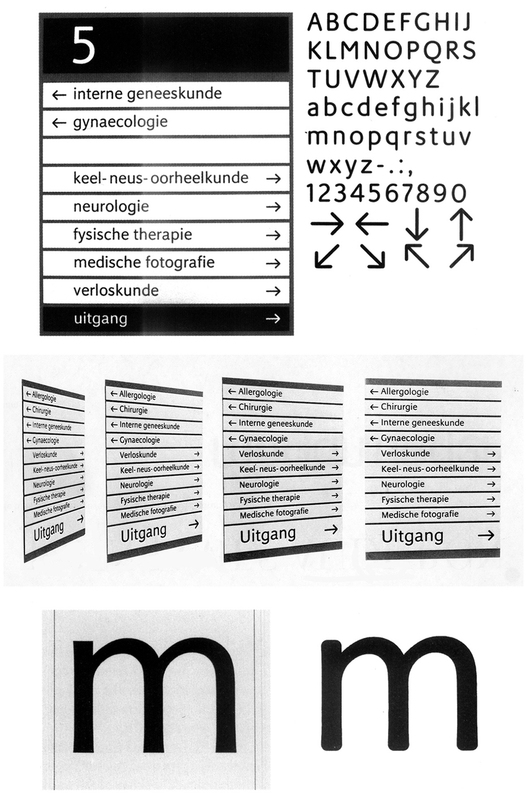 (1974)—this typeface for sig­nage in the Am­s­ter­dam Metro was cre­ated in a work­ing group led by Dutch de­sign­er Pieter Brat­tinga. This is one of Un­ger’s first ex­per­i­ments with read­ab­il­ity. In the dif­fi­cult con­di­tions of the un­der­ground (Un­ger even has this draft on a black back­ground), the forms of let­ters are lost and seem to drown in spots of light on bright light­boxes. From here fol­lows Un­ger’s de­cision to “an­ti­cip­ate” this dis­tor­tion: he made the coun­ters of let­ters (the spaces with­in them) lar­ger and roun­ded off stroke end­ings. Un­ger’s first pro­fes­sion­al typeface—Markeur (1972). This sans serif for nav­ig­a­tion­al pur­poses was dir­ectly linked to the then-ex­ist­ing tech­no­logy of en­grav­ing let­ters on plastic: the en­grav­ing sys­tem Pan­to­type from com­pany En­schedé was used to make signs based on Un­ger’s draw­ings. Be­low: Un­ger’s draw­ing and the let­ter en­graved from it. Markeur largely formed the basis for M.O.L. 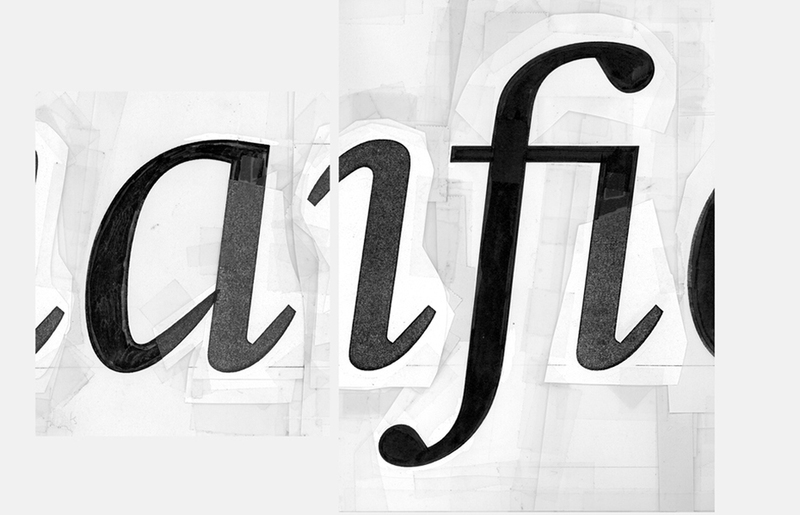 Spe­cif­ic de­tails of Al­verata‘s char­ac­ters and some al­tern­at­ives from the Ir­reg­u­lar style. 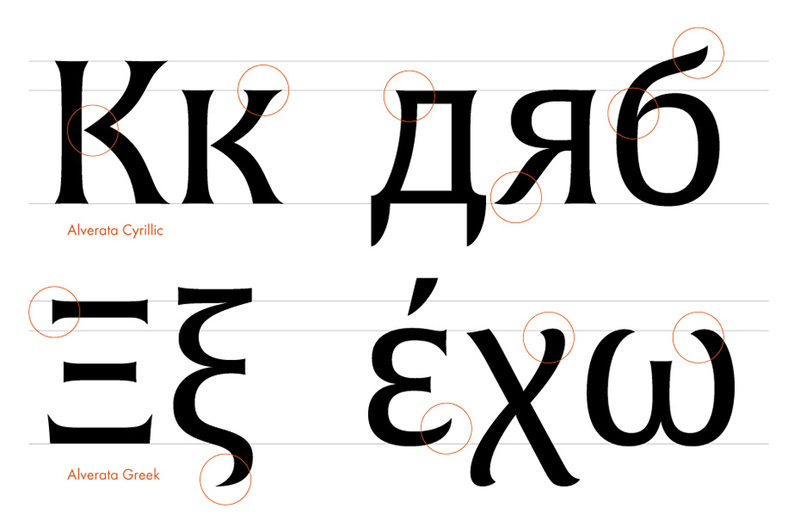 Spe­cif­ic de­tails of Al­verata‘s char­ac­ters in Greek and Cyril­lic.